A channelizer is a form of multiplexer consisting with one input and typically 10 to 30 narrowband bandpass filter outputs that can be contiguous or non-contiguous. 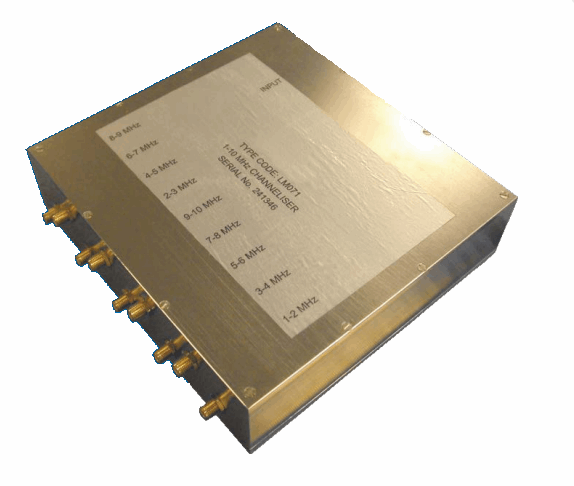 TMS channelizers are used in receivers requiring a high probability of intercept in dense electromagnetic environments. The outputs often have detectors integrated to provide simultaneous signal detection in wide open ESM systems.